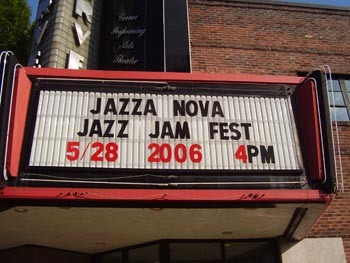 To know when and where Jazza-Nova is playing next, send us an email asking to be included on our email mailing list. You found us! We are still going strong. We now have highlights from the Alabama Jazz Hall of Fame concert available. Click here to see the concert video. Jazza-Nova was recently selected for a feature on WBHM's radio show called Tapestry, which airs every Thursday at 6:30 pm. WBHM is Birmingham's NPR affiliate station and is located on the FM radio dial at 90.3 in the Birmingham AL. Tapestry is a show that spotlights local artists, writers, and bands deemed noteworthy by the show's producers.You can download the interview and our MP3s from the WBHM website. Click the links below to hear samples from our debut CD.